February was amazing for some guests and a little disappointing for others. Some caught quite a few blue and black marlin in the 400 to 500lb range, while others caught everything but marlin. An offshore algae bloom stopped fishing for a few days, however, the inshore fishing remained great and clients caught trophy roosterfish, amberjack, cubera snapper and large sailfish. One Pacific cubera snapper of around 89lb 12oz could have shattered the IGFA All Tackle world record of 78lb, but was released unharmed. March delivered more black marlin and huge numbers of yellowfin tuna up to 160lbs. 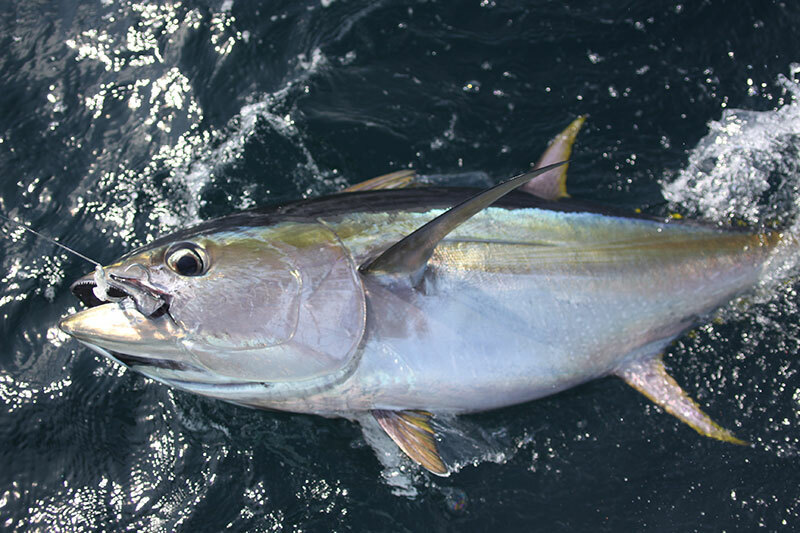 The bite for both yellowfin and marlin should improve dramatically into April, with the inshore fishing remaining strong.